spirulina in tablets There are 6 products. 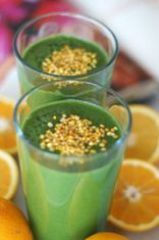 - Spirulina contains no vitamin C. It is therefore necessary to associate the consumption of orange juice or lemon juice, for example, to compensate for this lack. Vitamin C is especially important as it is this which allows the absorption of iron in Spirulina.